A collector of hip hop, funk, soul, boogie and related beats and jazz based music for more than 20 years, Chris came to prominence as a club DJ through his 10 year role as resident DJ and promoter of Substance (one of the UK’s largest and longest running hip hop and funk nights) and his 2 year spell as mix DJ on BBC Radio 1Xtra. 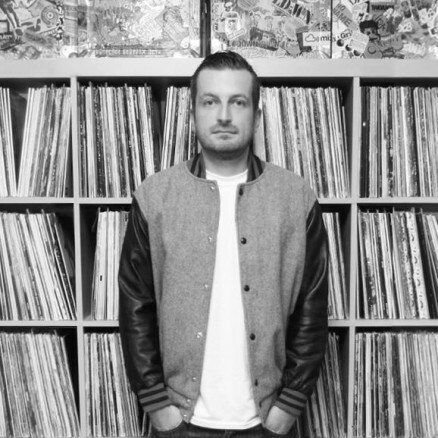 Previously signed to well regarded UK labels Different Drummer and Breakin Bread, Chris has for the last 5 years been a fixture at BBE (some time home to artists including J Dilla, Madlib, Pete Rock, Kenny Dope and Roy Ayers among others). Artists Chris has recently collaborated with, produced and remixed include Grammy Award winning vocalists Bilal and Algebra Blessett, veteran New York producer DJ Spinna, hip hop man of the moment Oddisee, Tru Thoughts vocalist Lizzy Parks, Speedometer front man Myles Sanko and many more. Chris produced BBC New Music Award winning jazz / electronica outfit Maylight‘s debut album released on BBE Records in 2016. In 2017 he released a full length collaboration with Chicago vocalist Pugs Atomz. Enjoying a cult following for his unique brand of highly crafted DJ mixes, Chris has produced mixtapes for and in collaboration with a variety of respected and well known artists, labels, music resources and brands including Delicious Vinyl, Wax Poetics, WhoSampled and Adidas Originals. Chris’s 2012 BBE Mix Album ‘Latin Concrete‘ was featured as album of the week in UK broadsheet newspaper The Independent. Chris has been named as one of Mixcloud‘s nine ‘Stars of the Future’ and has made consistent appearances in the site’s end of year Top 100 DJs list, best placing at a respectable #17. Also a regular feature of the site’s end of year Top 100 DJ mixes list, best placing at #7, one year saw Chris hold down 3 of the 100 places. In recent years Chris has also been highlighted as one of the best of year in the site’s ‘Crate Diggers‘ and ‘Beats and Bass’ categories. Still a traditional DJ at heart, a steady output of mixtapes, compilations, remixes, and productions has afforded Chris the opportunity to DJ around the globe.